A billionaire smile deserves a designer toothbrush, so we’ve included one as well. Join the elite with your own Italian-made, gold-plated toothbrush. 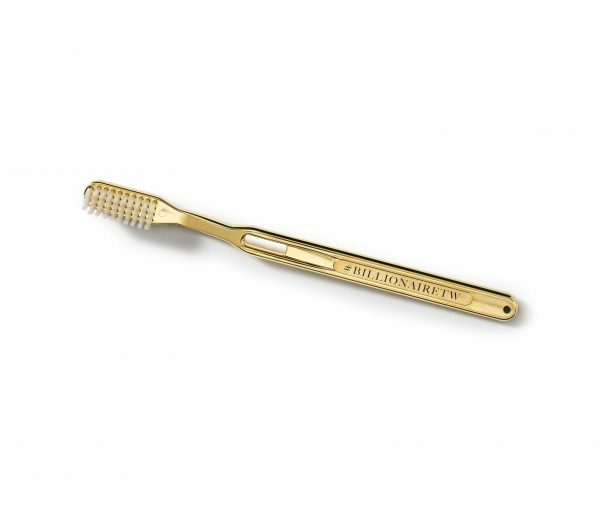 Designed with elegance in mind, our gold-plated toothbrush will keep your smile looking (and feeling) rich. Plus, its carefully rounded bristles and gently angled neck will guarantee the perfect clean.